Though progressive rock had its heyday in the mid-'70s with acts like Yes, Genesis and King Crimson, the genre's contemporary influence is without question. It seems only fitting then, that guitarist/producer Todd Rundgren (Nazz, Utopia, the New Cars, Meat Loaf, Ringo Starr and his All-Starr Band) has announced that he will film and record a live version of his much-applauded 1973 prog rock classic, A Wizard, A True Star, at a September 9 performance at the Palace Theater in Stamford, CT.
Embarking on a short northeastern U.S. tour in the first half of September, this will be the first time that Rundgren has ever performed the album in its entirety throughout the duration of his career - some of the songs having never before been performed live. 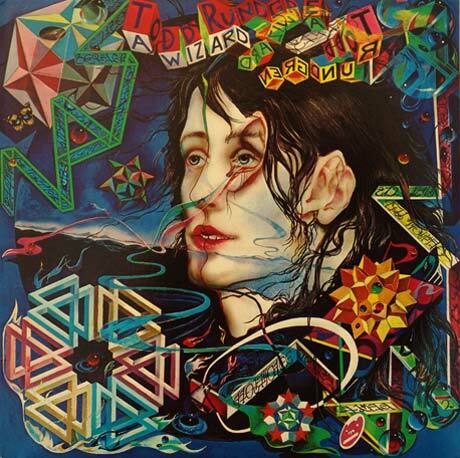 High demand for ticket sales for the premiere show in Akron, OH have led to a second performance of the so-called "Todd Rundgren: A Wizard, A True Star LIVE" the following night. After this stint in the States, the guitarist will then take to performing the album in London and Amsterdam in early February. Over the past 40 years, Rundgren has worked with a plethora of musical talent, usually handling guitar/vocal duties himself. So it's no surprise that he has recruited a handful of old coworkers to take on tour with him this time around, being joined by synth/keyboard players Roger Powell (Utopia) and Greg Hawkes (the Cars, the Turtles), bassist Kasim Sulton (Utopia, Meat Loaf), guitarist Jesse Gress, saxophonist Bobby Strickland and drummer Prairie Prince (Journey/the Tubes). You'll be able to get your hands on the live version of Rundgren's seminal psychedelic-/jazz-fusion-influenced masterpiece - on both CD and DVD - in early 2010, courtesy of Music Publishing Corporation of America's label, Hi Fi Recordings.